This is an auction!! 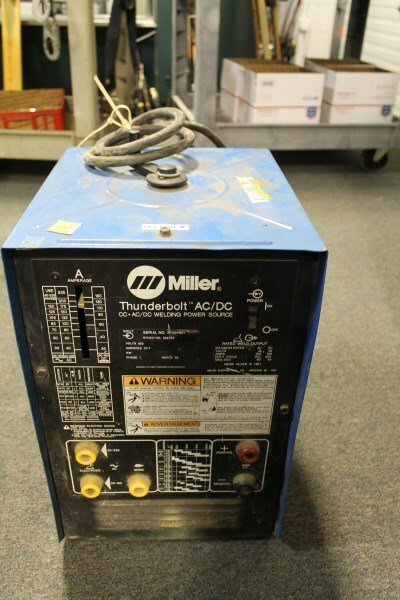 Lots will close one at a time as bidding ends on that item. 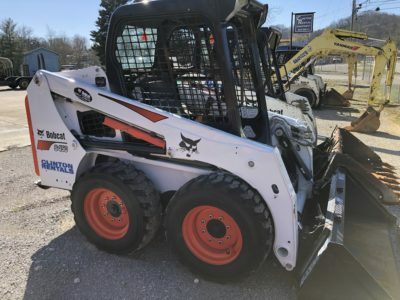 If someone bids in the last seconds, the bidding on that item WILL be extended. No Sniping is Allowed!! Please keep this in mind when bidding!! The auction will end in a “soft close”, you may see it say “you may have won”, this will remain until Thursday morning when we come in and close the sale on the computer. At that time, you will recieve an invoice and instructions for pickup. Shipping is NOT being offered on this auction, Pick up only!! In order to pay by cash or check, you must be here by 12:00 noon on pick up day!! Any declined credit cards will be charged a $30 Service Fee!! 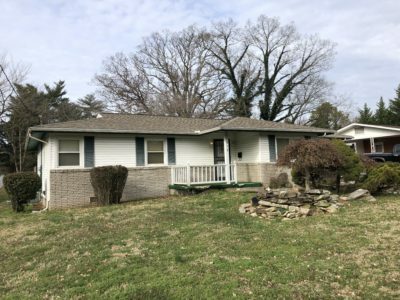 The items are located, will be viewed and picked up at our office at 6729 Pleasant Ridge Rd., Knoxville, TN 37921. If you have questions, please ask. 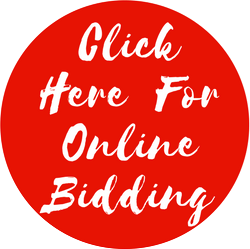 We want your bidding and buying experience to be a pleasant one!! Did I hear somebody say we never have tool sales? Well, do we have the sale for you!!! But it’s not JUST tools!! 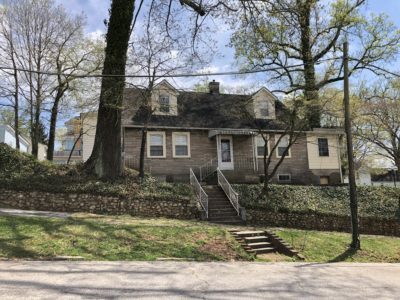 No, no, no, we have something for everyone in this auction!! We didn’t limit your options to just tools in this one, we mixed it up and shook it up!! We are going to keep your interest peaked and keep you asking, What’s next? We have saddles! 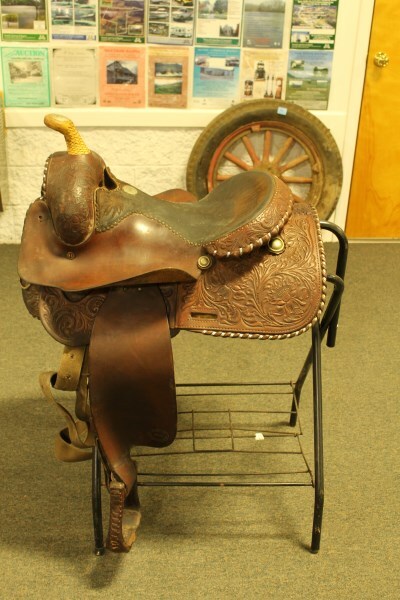 Western saddles made in the good old USA: Circle Y, Billy Cook Custom and Others plus a Collegiate Quality Saddlery brand English saddle with saddle rack!! 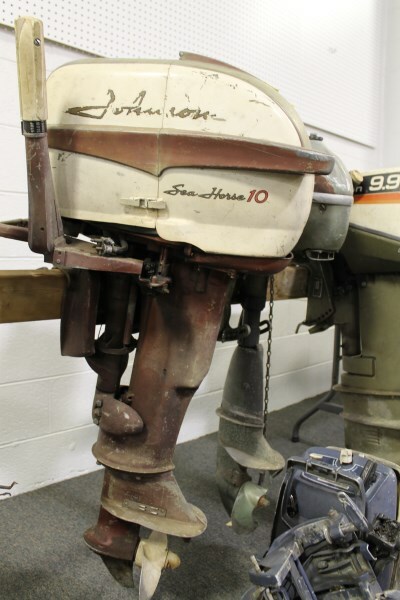 We have vintage outboard motors and trolling motors: Johnson, Minn Kota, Sears and more!! Lots and lots of fishing reels, tackle boxes (empty and full) and bait bags to keep you out on the lake as long as you want to be out there (remember, we can’t control what your wife wants)!! 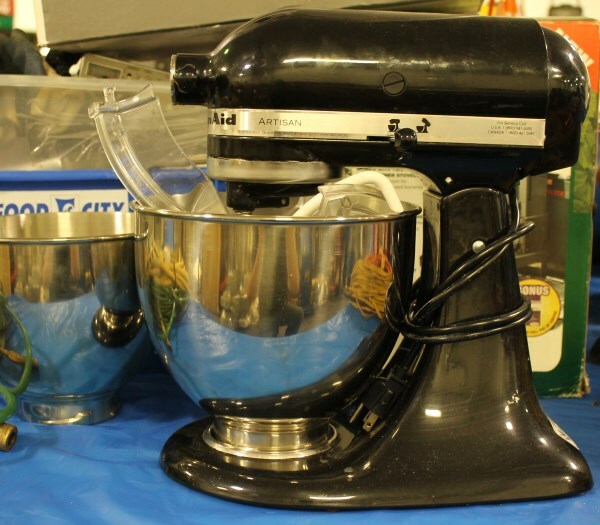 Household Items: Dyson Vacuum Cleaners, Kitchen-aid Artisan Stand Mixer, Dorm Size Refrigerators, File Cabinets, Window Air Conditioners, Fans, Personal Heaters, Grow Lights and more!! Sporting Goods: Camping: Tents, Folding Camp Chairs, Camp Stoves, Lanterns, etc. 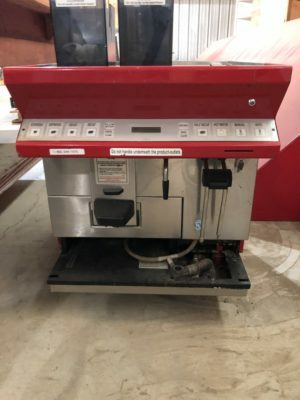 Patio Stand and Table Top Propane Heaters (new in boxes), Sport Utility Blankets – Brand New, Still in the Bag!! (Also see the fishing stuff above)!! 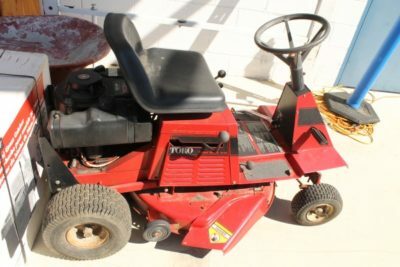 Vehicle and Lawn Care: We have several lots of Rims (sizes vary but are listed in the catalog); Motorcycle jacks, helmets, tail pipes; Lawn Care: Toro Riding Mower, Weed Eater Brand Push Mower (new in box), John Deere Lawn Cart (new in box), Broadcast Spreaders (one is new in box but the box is destroyed), Backpack Blowers (Stihl, Husqvarna and others), Chainsaws (Stihl, McCullough and others), Murray 30″ Grass Catcher (new in box) and more!!! Oh, and we also have Tools!!! 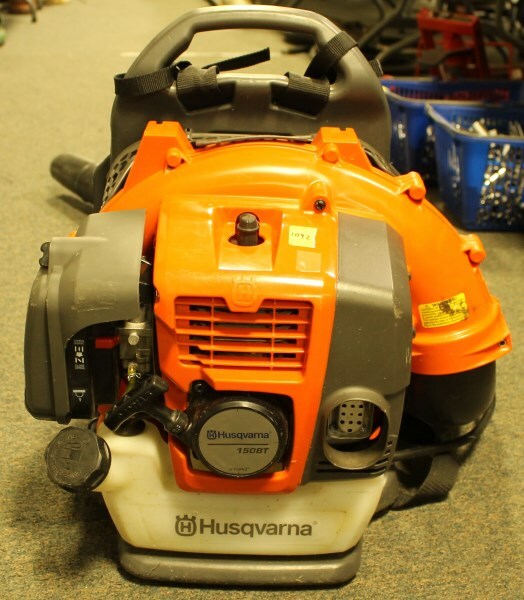 Wet Saws, Air Compressors, Floor Jacks, Chain Hoists, Sanders, Scroll Saws, Mitre Saws, Acetylene Rig, Welders: Miller, Lincoln and others; Paint Sprayers, Trash Pumps, Lawn Mower Size Engines; Tool Boxes with Tools, 4000 watt Generac Generator, Roto-Rooters, Battery Chargers, Wood Lathe, Pressure Washer, Air Tanks, Electric Diesel Fuel Pumps with Hoses and Handles, Hand Tools: Screw Drivers, Ratchets, Sockets by the Hundreds, Combination Wrenches, Pipe Wrenches, Cutters, Pliers, Hammers, etc. ; We have so many tools, I can’t remember them all!!! 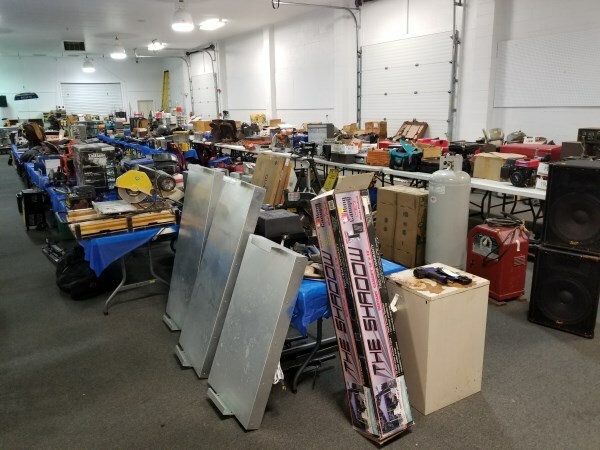 Miscellaneous Items: Pop Up Canopy, Candy/Gum Ball Machines, Bunn Iced Tea Maker, Snack Machine, 3 Safes, Ureka Vent Hood System (like new in boxes), Microwave Ovens, Lighted Dry/Erase Sign, Fisher Price Smart Racers, Home Electronics, Vintage Cell Phones & Pagers, LP’s and Books on Tape and Lots, Lots More!! Make sure you come and preview this sale!! 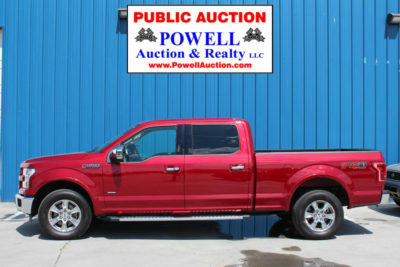 I can’t begin to explain the scope and depth of this auction, you just have to experience it!! Come one, Come all!!! There is truely Something for Everyone! !